Okay. I admit it. I'm not a fan of Halloween. Well, not quite, but I don't go quite as all-out as everyone else does. I mean, I do on the baking end (obviously). But I didn't even go out for Halloween this weekend. I think it has something to do with how my mom made all my costumes, so store-bought ones don't really measure up. 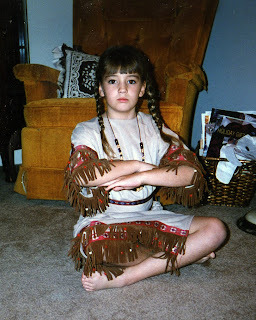 Here I am as an Indian (I look so serious!). I've been quite the variety of Disney leading ladies, including Ariel, Jasmine and Esmerelda (from the Hunchback). Dorothy was another, and a witch...and I'm sure my mom can document the rest of the years with pictures. But I'm not a fan of going to the store and buying one, and I'm not really creative enough to come up with my own cheap option. So this Halloween I celebrated by watching the first half of Rocky Horror Picture Show (really, all I care about is the Time Warp). And by baking. Of course. I think I mentioned once already how maple is one of my absolute favorite flavors. After this week, I might be mapled out, which I thought I'd never say. 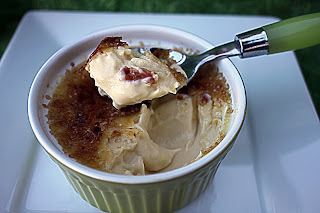 But first, I tried maple creme brulee from Joy of Cooking. It was my first creme brulee, but it's basically a custard, which I'd made before for an ice cream base. This is one of the only desserts ever that I didn't share — it was that good, once I figured out how to work my kitchen torch to caramelize the sugar. I actually spent a lot of time thumbing through my Joy of Cooking last week. 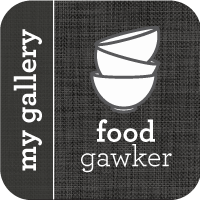 I tend to go in cycles, baking from online recipes, then switching to cookbooks. I thought I hadn't given this one enough love lately. 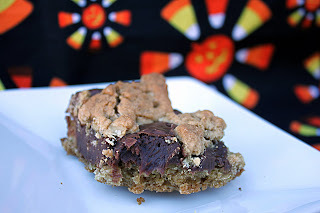 I felt in a cookie mood later that week, and ended up making the chocolate oatmeal bars. Very chocolatey. Then, another maple dessert. And another Joy of Cooking recipe. Maple fudge. 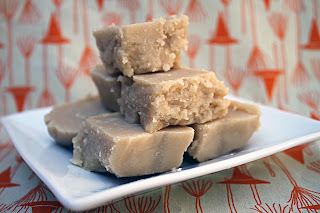 It ended up being less fudgy and more candy-y, a lot like those maple leaf candies. So I'm counting it as a completed goal, because it really had the same texture. It was really good, but it's pretty much like eating solid sugar. I will need to wait a while to make it again. Then Aunt Betty and I made my Uncle David's birthday cake, a Black Forest torte. (totally go look at this recipe; it's worth it to all you journalists just for the epic spelling error in the third paragraph of preparation). 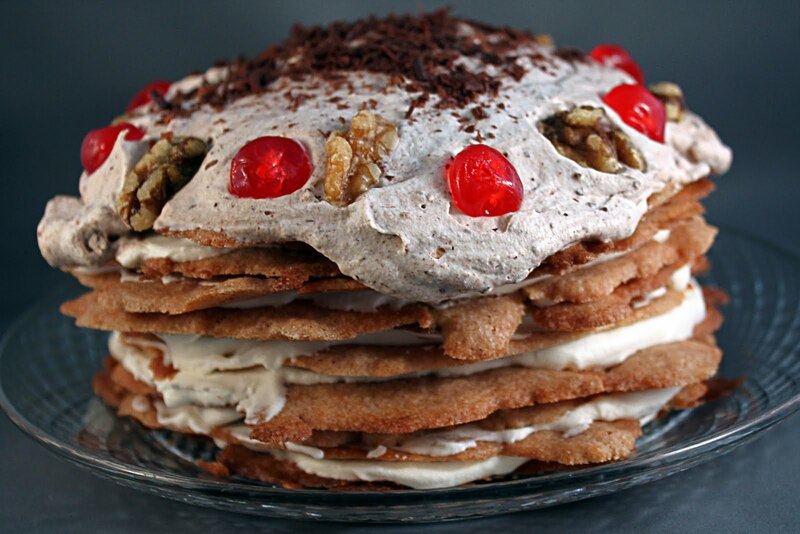 It's basically a bunch of cinnamon cookie-type things (they reminded me of churros), whipped cream in the middle and cherries, pecans and chocolate on top. The cream softens the cookies and it makes for an excellent 12 (yes 12!) 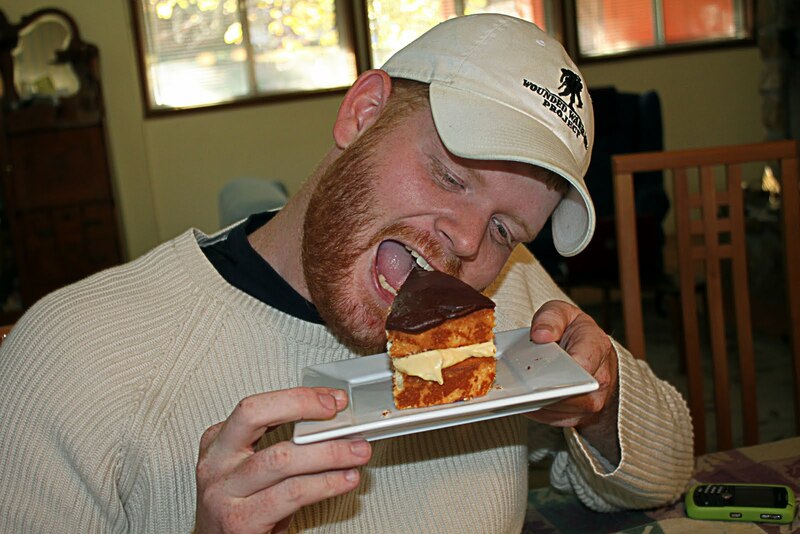 layer cake. I didn't do too much on this, just helped form the cookies. 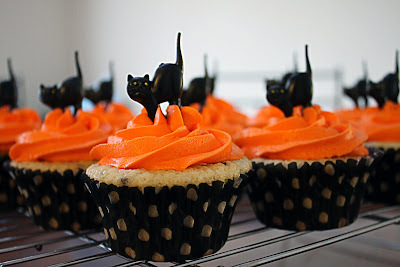 Then, the official Halloween cupcakes. 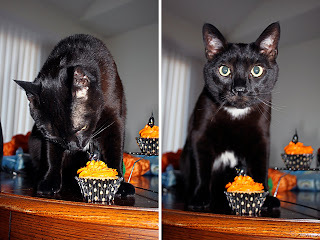 I got these black cat cupcake toppers and cupcake liners a while ago from Bake It Pretty and was saving them. I made plain ol' yellow cake with sprinkles for funfetti and plain ol' orange frosting. I had to take a picture of them with my black kitty, who proceeded to lick two of the cupcakes, which were then thrown away. Silly kitty. Oh well, at least he's cute! Also, I've posted these over at Mommy's Kitchen with a bunch of other tasty Halloween desserts. Yes, around holloween time, I also get bit sweet tooth with lotsa of candies and chocolates. Love these. You really got into the Indian costume! Similarly, I could get really into those chocolate-oatmeal bars!